Karibu is the delightful guest cottage to Hakuna Matata. 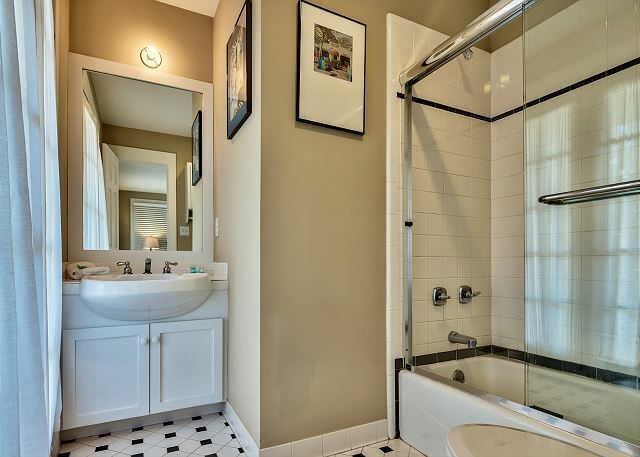 Both are conveniently close to the Westside Pool and only a two minute walk to the beach. Karibu opens into a small courtyard with barbecue grill, and is privately accessible by one of Seaside's enchanting footpaths. Like the main house, Karibu is abundant in natural light provided by 3 sets of French doors on each of the 2 floors. Enter the living room from the covered front porch that extends the length of the building. 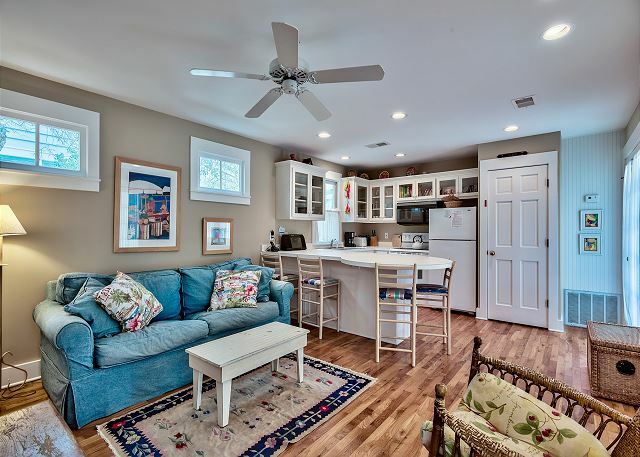 In the open living room you will find the staircase leading to the second floor, a queen size sleeper sofa, flat screen television and a half bath. 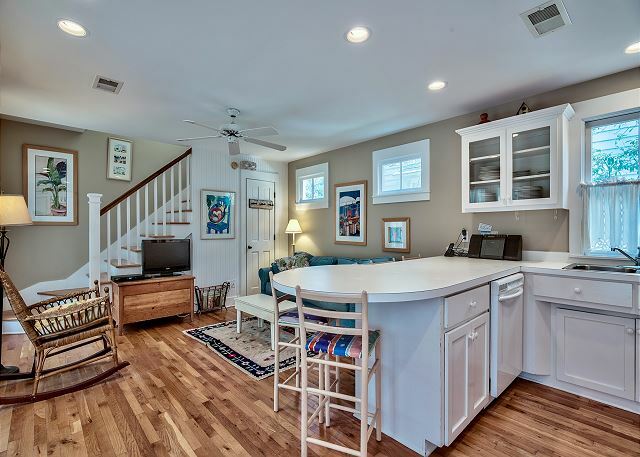 The living room and fully equipped kitchen are separated by a bar with seating for four. 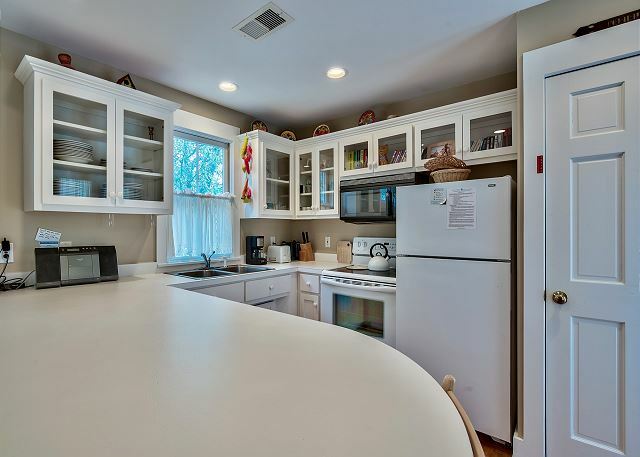 The washer/dryer are located in a closet in the kitchen. 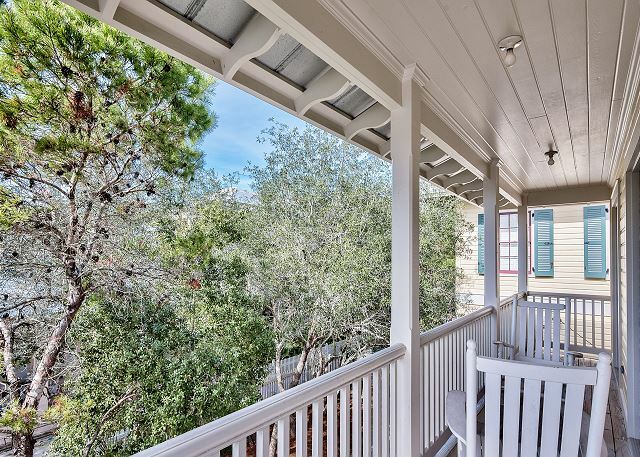 Also, tucked away in a corner of the kitchen next to one set of French doors, is a rocking chair that provides just the place to enjoy morning coffee. 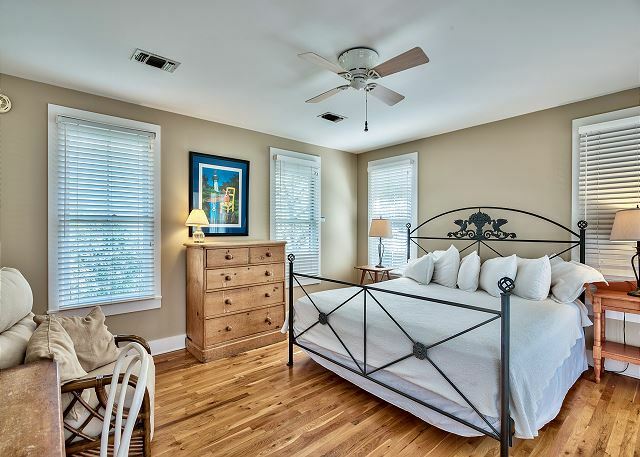 Ascend the stairs to the second floor and find a bright and spacious bedroom furnished with king bed. 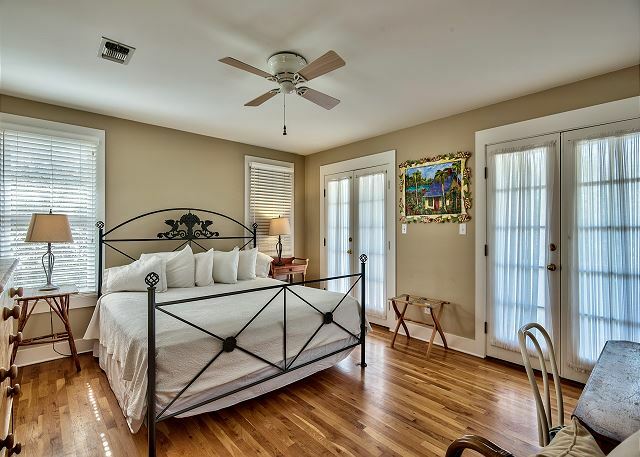 The bedroom and full size bath, both access the second floor balcony via French doors. Whether looking for an intimate getaway for two or additional space for the large family vacation, Karibu is quite a find! Seaside is not a cookie cutter beach resort. 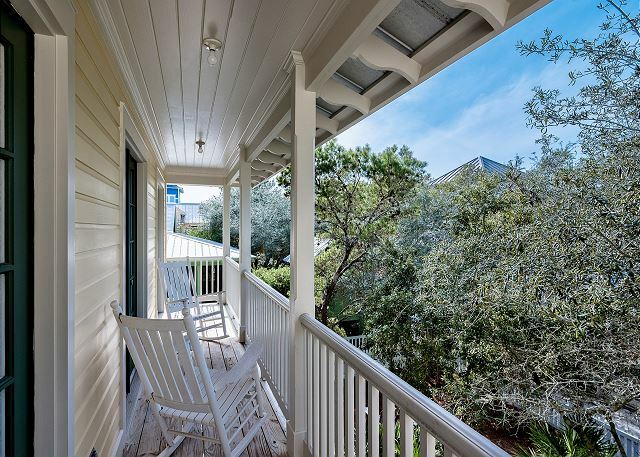 There are pools and tennis courts and other beach resort amenities, but Seaside is much more. It is a unique experience that not only changes the way a vacation is experienced, it changes the way a life is experienced. Seaside is a simple and beautiful way of life.